NAVIGATION PACKAGE includes (UHQ) Color Touch AM/FM stereo with CD player and navigation, (A45) driver memory and (AXG) driver power window with Express-Up and Down, LEATHER PACKAGE includes (EBF) leather-appointed seats and (KA1) heated driver and passenger front seats, SUNROOF, POWER, AUDIO SYSTEM WITH NAVIGATION, AM/FM STEREO WITH CD PLAYER AND MP3 PLAYBACK CAPABILITY GPS navigation system with SD card memory Includes (MCR) memory card receptacle and (UPF) Bluetooth for phone. ), ENGINE, ECOTEC 2.4L DOHC 4-CYLINDER DI (DIRECT INJECTION) WITH EASSIST TECHNOLOGY and Variable Valve Timing (VVT) (182 hp [135.7 kW] @ 6200 rpm, 171 lb-ft of torque [230.9 N-m] @ 4900 rpm), TRANSMISSION, 6-SPEED AUTOMATIC, ELECTRONICALLY-CONTROLLED with overdrive. .
"Comfortable for long freeway slogs, nice interior furnishings." -CarAndDriver.com. Pricing analysis performed on 11/24/2018. 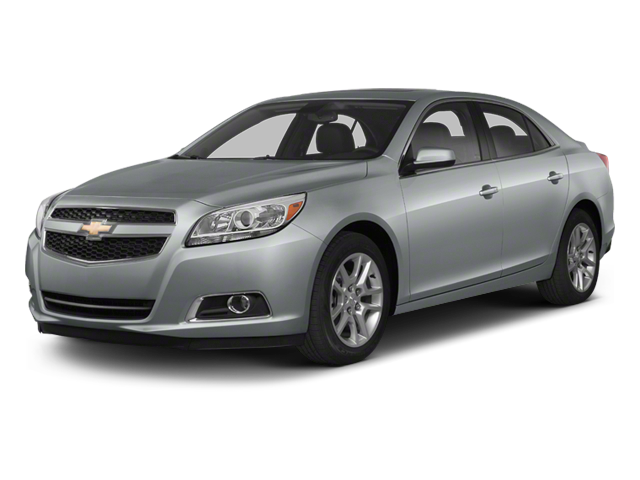 Hello, I would like more information about the 2013 Chevrolet Malibu, stock# P1385. Hello, I would like to see more pictures of the 2013 Chevrolet Malibu, stock# P1385.